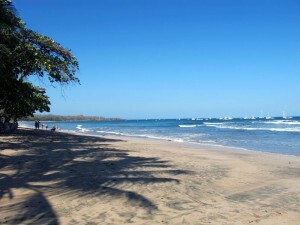 Long recognized as a best in the tropics retirement location, Costa Rica is expecting to attract many more retirees over the next decade. When you ask visitors and expats, what do you love about Costa Rica? More often than not the answer is “the weather”. Costa Rica weather is known for its warm coastal climates and breezy perpetual spring like conditions in the Central Valley. While cost of living in Costa Rica is much cheaper than North America, Costa Rica is not the least expensive in Central America. But what it does have above other Central American countries is a much a better quality of lifestyle and is much more socially and politically secure. There are some 144 million baby boomers expected to retire within the next decade, and many of them are will be looking to relocate to another country. When asked why they wanted to relocate, the #1 reason was to make their money go further. Rent in Costa Rica is certainly cheaper than North America. The average modern 3 bedroom condo in the Central Valley is in the range of $750 UDS, often with the benefit of a gated, secure community. Buying property is safe and easy in Costa Rica where expats have the same rights as a Costa Rican. Property prices seem to have hit bottom so many are seeing opportunity for great deals. Property taxes are also much lower, depending on the area, Costa Rica property taxes are often more than half of that is USA. Another important cost savings is utility costs. A typical three bedroom home with American amenities would cost approximately $80-$200 monthly. Water and sewer is generally under $30 per month. Cellular phone service is quite good throughout the country and costs around $20-$60/month depending on usage. Cable TV is available throughout the country with English channels and the rates are comparable to the U.S. Some service providers package cable, internet and a VOIP line for approximately $100 per month. Food costs: Local produce foods such as vegetable, fruit, chick, fish, pork, rice, beans are inexpensive, but imported products are very expensive. Costa Rica’s fruit and vegetables choices are simply amazing. The local “cantinas” and “sodas” offer large full course meals from $3 to $6, and you have many great choices for fine gourmet dining from as low as $20 per person. Costa Rica Healthcare is high quality and offer tremendous savings. Costa Rica has some of the best health care in Latin America and the country’s public and private health systems have dramatically improved over the past 2 decades and are continuously being upgraded with new hospitals, advanced technology and equipment, and improvements in training. Costa Rica’s government run health care system has more than 30 hospitals and more than 250 clinics, and more coming online every year, making access to quality health care easy. Private health care is affordable and very high quality. There are three main, private hospitals are: Clinica Biblica in San José, CIMA hospital in Escazú, and Hospital La Católica in San José-Guadalupe. Costa Rica is listed as one of the safest places in Central America. More than 3,000 police officers have been added to the country since President Laura Chinchilla took office in 2010, raising the total to over 14,000. There are plans to add another 500 patrol vehicles and up to 2,000 more officers by 2013. Costa Rica is seen as a politically stable country compared to other Central American counties. This means that there is far less likelihood of arbitrary rule changes that effect land ownership rights and investments. For those who looking to retire, invest, or re-invent themselves in Costa Rica, you will find a warm and friendly culture, exotic and unique experiences, and a surprisingly affordable country. 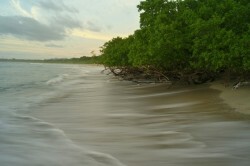 Costa Rica has always been known for its environmental concern. 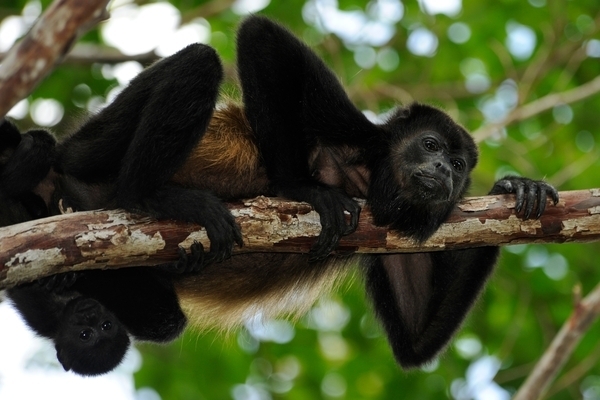 Various environmentally conscious programs, such as FONAFIFO’s Forestry Credit program promoting forestry and reforestation, have been set by the government in order to maintain Costa Rica’s famous biodiversity and natural landscapes. These programs seem to be having the desired effect because Costa Rica has been placed fifth (highest score for any country in America) on the Environmental Performance Index, a ranking system designed by the Yale Center for Environmental Law and Policy (YCELP) and the Center for International Earth Science Information Network (CIESIN) at Columbia University. This Index ranks 132 countries on performance indicators included in ten policy categories that cover both environmental public health and ecosystem vitality. The ten policy categories analyzed were the following: air (effects on human health), environmental burden of disease, water (effects on human health), agriculture, air (ecosystem effects), biodiversity and habitat, climate change, fisheries, forests, and water (ecosystem effects). The complete list, as well as the methodology used, can be found at http://epi.yale.edu/. The results of this report should serve as an incentive to any environmentally conscious buyer to acquire property in Costa Rica, thus supporting this country’s efforts to promote policies and campaigns that place the environment as the priority it should be. One development that strives to grow while preserving its natural surroundings is Hacienda Pinilla. They have received both international and national recognition for their efforts. In 2001, they received the Audubon Cooperative Sanctuary Program (ACSP). This certification evaluates a development’s commitment to the protection of natural habitats in and around their golf courses. The Hacienda has also been nationally recognized by the Costa Rican Institute of Aqueducts and Sewers (AyA) with the White Flag for providing potable, high-quality water to its population in a sustainable way. In addition, the Hacienda’s four beaches (Mansita, Bonita, Langosta, and Avellanas) have been awarded the Ecological Blue Flag for their cleanliness.